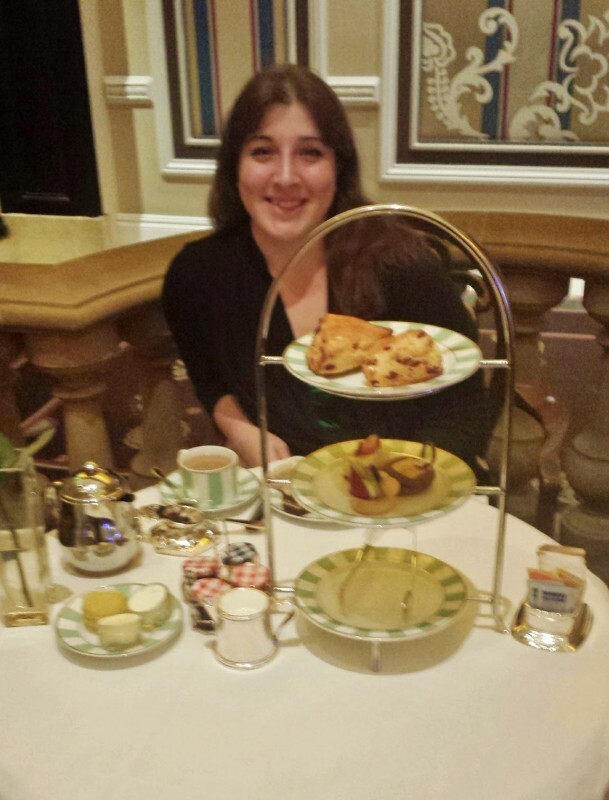 I hadn’t planned on having afternoon tea at the Bellagio on my trip earlier this year, but thanks to my American Express Fine Hotels & Resorts booking, I had a $100 credit at the hotel’s restaurants. Except not all the restaurants and excluding alcohol. So my plan to have an extravagent free lunch with a bottle of wine at one of the restaurants bordering the lake had to be scrapped. But tea is good, I like tea. Bellagio afternoon tea, not “high tea” is served from 2-5PM at the Petrossian Bar. I made a reservation for shortly after 2 and the bar was packed. Fortunately tea is served in a roped off section at the end and was actually quite peaceful and quiet. They had a lovely selection of teas — I went with the loose leaf earl grey which put my daily earl grey to shame. I decided against the upgrade to champagne and proceeded to pick sandwiches. I went with the Chicken Waldorf, the Bayonne Ham & Grueyere, the Smoked Salmon with Caviar, and (I think) the Egg Salad. In addition to the sandwiches you get traditional scones served with clotted cream, jam, and even lemon curd! And of course french pastries. I was swimming in food! At $37 before tax and tip it was not cheap, but it was a fun experience. I don’t think I would indulge again though in another Las Vegas high tea unless I had another dining credit to use.